The Dark Angels' eternal hunt for the Fallen embroils them in a dangerous conspiracy to change the past and destroy the future, bringing the entire Imperium under the dominion of Chaos. Master strategists, renowned duelists and one of the mightiest Space Marine Chapters of the Imperium, the Dark Angels have a long and storied history. Many of the Adeptus Astartes extol the ideals of courage and honour, yet, the sons of the Lion walk a different path. Ensconcing themselves in shadow and secrets, they seek no praise as they pursue their inscrutable agenda. The descendants of the First Legion bring grim fury to the enemies of mankind. On the world of Piscina IV the Dark Angels’ war host brings swift retribution to a horde of greenskins that threatens to destroy Kadillus harbour. On the indomitable mobile fortress monastery known as the Rock, Chaplain Boreas brings tortuous iron and his scalpel like intellect to a suspected traitor. 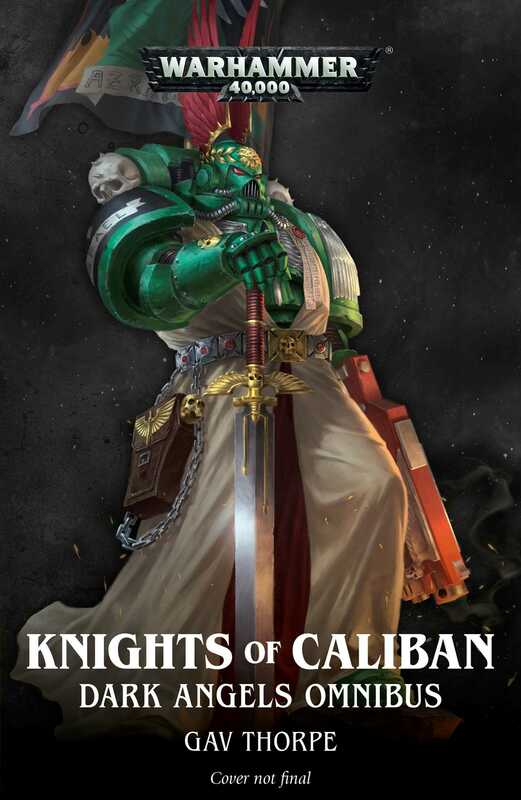 Of all the secrets that the Dark Angels possess, the Fallen are the greatest, but few know as much as Supreme Grand Master Azrael, true exemplar of the Calibanite creed and the most worthy son of the Lion. In this omnibus are the novels: The Purging of Kadillus, Angels of Darkness and Azrael.